Did Skipping CPAP Contribute to Justice Scalia's Sudden Death? A recent article in the Washington Post raised questions regarding the cause of Justice Scalia’s death. It is known that he died in his sleep and that he had several ongoing health conditions. According to the sheriff’s report, he was found lying in bed, with his arms by his side. A CPAP device was on the nightstand next to him, but it was unplugged and not turned on. It was assumed that he did not use it on that particular night, and the article raised the question of whether not using the CPAP may have directly contributed to or even caused his death. CPAP stands for Continuous Positive Airway Pressure. The CPAP device is a small machine that delivers air at a certain set pressure through a mask that the patient wears while asleep. The purpose of CPAP therapy is to generate enough flow of air through the mask to keep the airways (nose and throat) open during the night hours while someone is asleep. How is the need for CPAP use determined?When a patient comes forward with a history of specific issues and certain symptoms, a sleep-related breathing disorder is then diagnosed. Individuals who share that they wake up suddenly from sleep choking, or a bed partner sharing that they witnessed the patient actually stop breathing for brief moments during the night, are telltale signs of OSA. These symptoms are often more evident, when one snores loudly and then there is a sudden silence, indicating cessation of breathing. Patients also often complain of daytime sleepiness, which is due to poor quality sleep. The diagnosis of obstructive sleep apnea is made after the patient undergoes a sleep study, which counts and measures episodes of the breathing cessation periods. How severe does the OSA have to be to warrant CPAP treatment? The severity of the disease is determined by a sleep study. When a sleep study is done in a laboratory, the number opnea events per hour are recorded, and an index is determined. The index is called the Apnea Hypopnea Index (AHI). A normal AHI is less than 5. Mild disease is an AHI of 5-15, moderate disease is an AHI of 15-30, and severe disease is diagnosed at an index above 30. The sleep specialist will then determine the specific pressure of air needed to keep the person’s airway open. That is the setting of the CPAP machine that the patient will then take home to use every night. Even mild disease that is associated with severe symptoms or with the presence of heart disease is serious enough to warrant CPAP treatment. 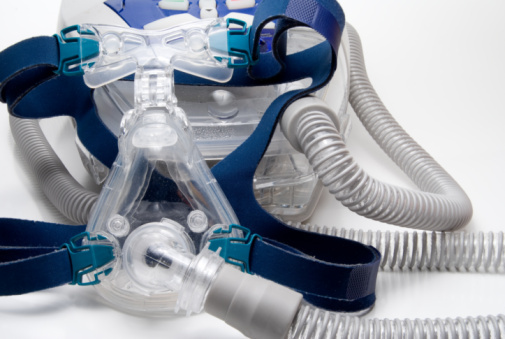 What happens when someone does not use the CPAP machine as prescribed? If a patient decides to forgo use of the CPAP, to use it less frequently, or not on a regular basis, there can be varying consequences. The consequences or risks directly relate to how severe their disease is and whether or not they also have other comorbid conditions. The most important comorbid condition that complicates OSA is heart disease. Individuals who have a weakened heart, for example congestive heart failure (CHF), are more likely to have fluid accumulation in the lungs at night as a result of apnea episodes. Individuals who have underlying abnormal rhythms such as atrial fibrillation (AF) are more likely to have those arrhythmias at night during episodes of apnea. Finally, individuals with high blood pressure (hypertension) are likely to develop inflammatory substances, during periods of apnea that will prolong and worsen hypertension. The most dangerous part of these scenarios is that in many instances the patient is totally unaware of the exacerbation of their CHF or AF or hypertension during these apnea episodes. Indeed, it’s only recently that cardiologists have become aware of the seriousness of the cardiac events that occur at night if sleep apnea is left untreated. How common is sudden death during sleep in the presence of obstructive sleep apnea? In the past, research has shown that the most common time for sudden cardiac death is between the hours of 6 A.M. and 12 noon. 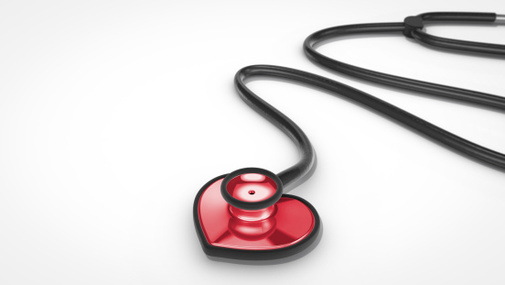 For individuals with documented sleep apnea, however, the most common time for sudden cardiac events occurs between the hours of 12 midnight and 6 A.M. Recently, a large study published in the Journal of the American College of Cardiology came up with a rate of events and risk factors. They looked at over ten thousand patients who underwent sleep studies over a number of years. The rate of sudden cardiac death during sleep was significantly greater in those with an apnea index of greater than 20. One of the most significant risk factors for sudden cardiac death was the degree of the drop in the oxygen level in the blood that occurs as a result of apnea. This drop creates undue stress on the heart, and the greater the drop the higher the risk of dire ensuing consequences. ** What are best practices for someone with OSA?If your doctor prescribes a CPAP machine, consider it a given that it must be used every** night. This machine is a life-saving therapy, especially if the AHI is high, or if you have comorbid diseases such as heart disease in addition to OSA. Using oxygen is not a treatment for OSA, because it does not solve the problem of upper airway blockage, or the stress caused by the effort to overcome this blockage. This can only be accomplished with use of the CPAP machine. Often, oxygen is not needed at all as long as there is uninterrupted flow of air to the lungs (via use of CPAP). It often takes time to get used to the CPAP device, but the benefits are cumulative with time. It’s also important to recognize that regular use of CPAP helps to prevent progression of cardiac disease. You may not realize how much CPAP is helping with sleep quality and disease prevention, since you’re typically asleep when the OSA symptoms present. The payoff is clear though, from improving sleep to reducing exacerbation of heart disease to reducing episodes of hypertension. There are cases where blood pressure was controlled without the need of medications, just by treating sleep apnea. You might think, “So what if I don’t want to use the machine tonight?” but that one choice could mean a sudden cardiac arrhythmia and sudden death. There’s very little predictability, so it's important to take steps to reduce your risk of complication.